Celgene has been having some problems developing new drugs, but its Revlimid is the world’s best selling cancer drug – and the company is preparing to build on this with a filing in the new year. New Jersey-based Celgene said it is preparing a filing for Revlimid in combination with Roche’s rituximab, known as R2, in patients with a slow-spreading form of lymphoma. 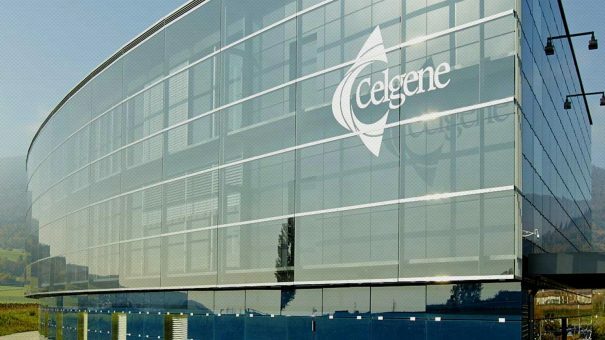 Celgene said the phase 3 AUGMENT study of R2 in relapsed/refractory follicular and marginal zone lymphoma met primary endpoint in relapsed/refractory indolent lymphoma. A final analysis showed a “highly statistically significant improvement in progression-free survival” for the combination compared with rituximab plus placebo. AUGMENT tested efficacy and safety of R2 versus rituximab plus placebo in 358 patients with the disease. Celgene said there was a “favourable trend” in an analysis investigating overall survival, and will continue the trial to gain the full overall survival results. There were no new safety signals and the safety profile of the combination was consistent with known safety profiles of the individual drugs. Full data from AUGMENT will be submitted at a future medical meeting and Celgene plans filings with regulators in the first quarter of next year. Already approved in two multiple myeloma uses and in mantle cell lymphoma, Celgene predicts revenues from Revlimid of $9.4 billion this year. And with patent protection until 2022 in Europe and 2027 in the US, sales are expected to mount as the drug gains more indications.